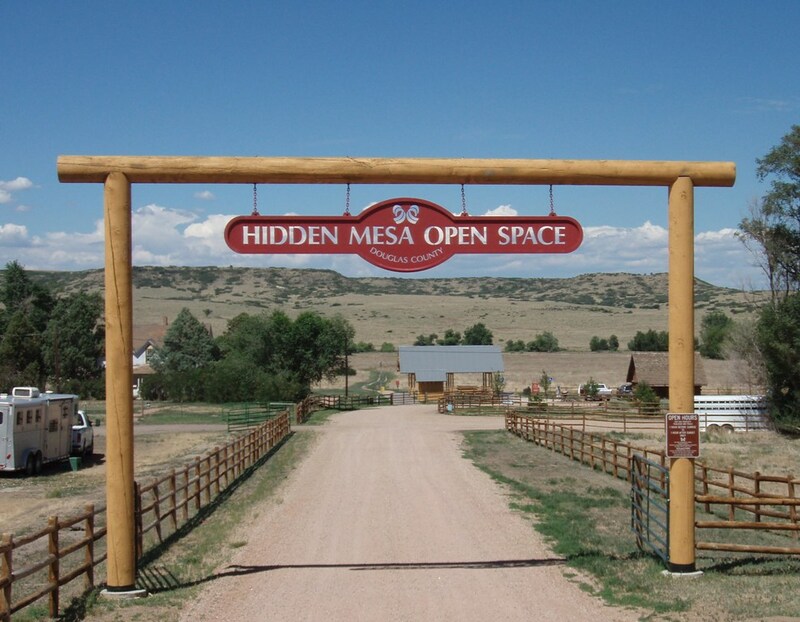 Hidden Mesa is 716 acres of open space located between the towns of Parker and Franktown. One trail leads from the parking lot and heads west to the top of the mesa where it branches off into two loops in a figure 8 pattern. The tread is mostly smooth single and double track up to the top of the mesa where it become rockier. Vast stretches of slickrock-like terrain make up the mesa top, which allow for some very interesting riding. The rocky portions are not particularly technical, and new riders may find it just right to practice their skills here. The trail is about 7.5 miles long as an out-n-back ride. However, riders may redo the upper portion in different directions to add mileage and variety to the day. Large dirt parking lot off from Parker Road. This trail was added on by an RMBB member and was last updated on 6/9/2018 by an RMBB member.